Retroblog: It's an iMPC weekend. iMPC Pro Packs will work in any compatible app including Garageband, Launchpad, Tabletop and more. They also have enhanced features for iMPC Pro. If you AudioPaste iMPC Pro Packs into iMPC Pro, you’ll get a set of Programs that are designed exclusively for iMPC Pro with the proper layout and parameters. These two latest iMPC Pro Packs are built to inspire and provide building blocks to manipulate, twist and chop to create your own, fresh sound. 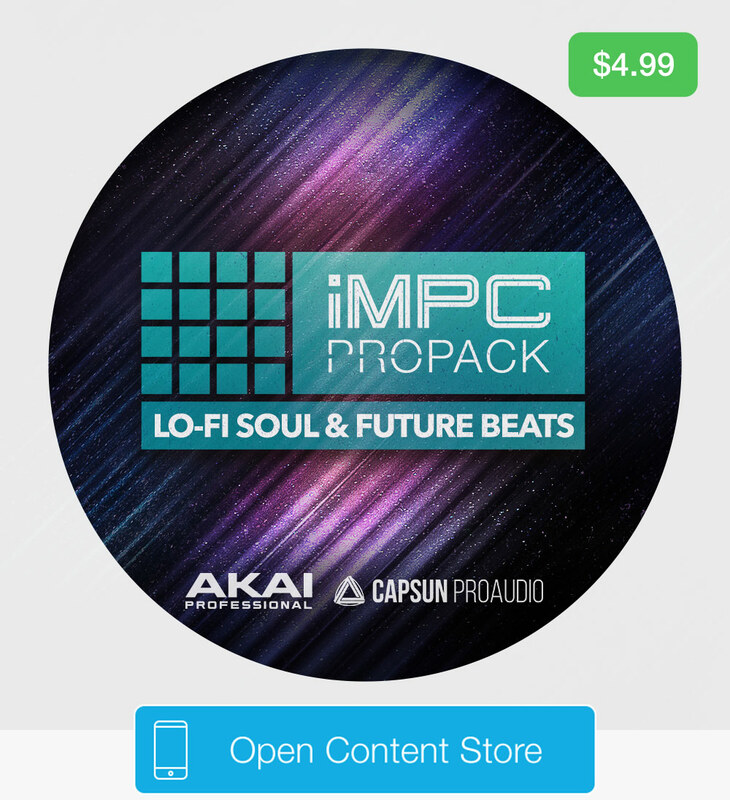 Akai Professional, CAPSUN ProAudio & Loopmasters present Lo Fi Soul and Future Beats, capturing the classic soul and magic of lo-fi sampling, analogue synths and drum machines. Experimental future beats laced with loosely quantized rhythms, rich warm pads, sub-heavy basslines and soulful chops. With a sound based around experimentation and the concept of combining elements of different genres, influences can be heard including Chill Trap, Future RnB, Ambient and nods to classic J Dilla style Hip-Hop and Soul production. 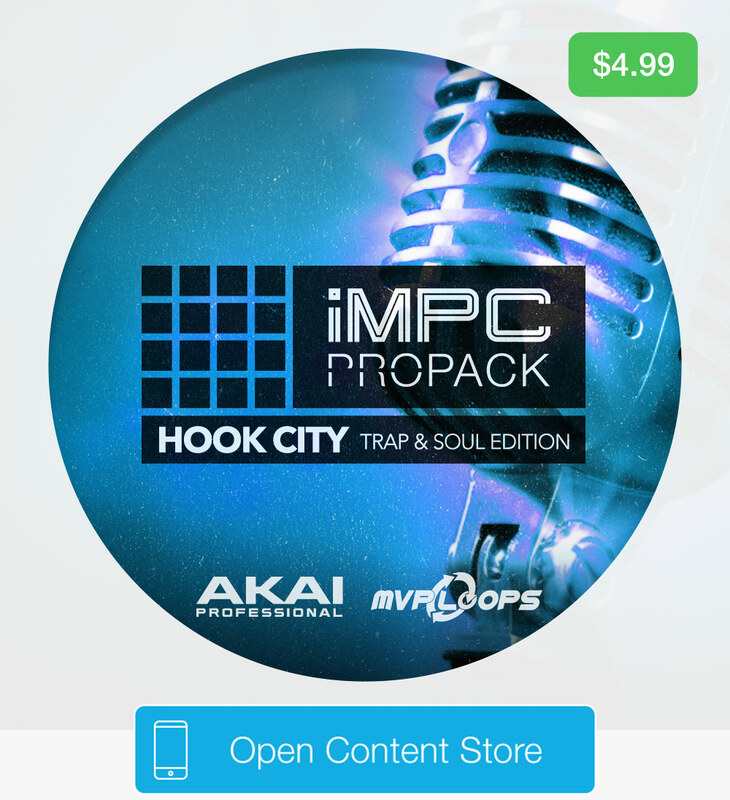 Akai Professional & MVP Loops present Hook City Trap and Soul Edition, following up on the hit iMPC Pro Pack, Hook City. This product is incredible featuring the vocals of LA super recording artist Rudina Haddad, along with the amazing sounds that all have been summed and tweaked to give you the sound you have come to expect from MVP. Hook City Trap and Soul Edition comes suited for your needs no matter how you like to produce. From live instruments to filter pads and hard hitting drums this product is a winner. Mix and match the sounds to create endless combinations.